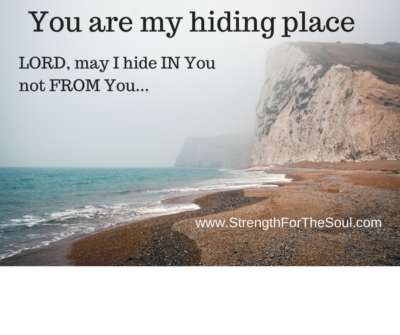 Do you know what it’s like to experience God as your hiding place? It’s a beautiful song and it conveys God’s comfort and protection and the way He sings over us (Zephaniah 3:17). But I recently realized, for the first time, that these words of David’s are in the middle of his song of repentance — He was confessing to God the sin he had been trying to hide from God. God is the One who ultimately protects us from trouble — or temptation, which causes us to get into trouble. 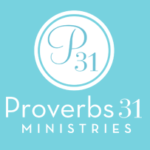 As we hide ourselves in Him, He will surround us — or protect us — with songs of deliverance to get us out of the temptations we face that lead us toward sin. What are the songs of deliverance God surrounds us with? Lord, may I run to You , not from You, when temptation comes my way. May I see You as my hiding place when I begin to feel weak in my flesh. Help me to truly know that when I hide in You it is then that I have died with You so that my life can be “hidden with Christ in God” (Colossians 3:3). Lord, tune my ears to Your songs of deliverance to keep me from breaking Your heart. Do you have a song of deliverance that keeps you from breaking God’s heart? I’d love to hear it in the comment section below. What If He Loves Someone Else? on A Wonderful Hiding Place. Thank you, Chery. Always good to receive your responses.